Rarely available location! 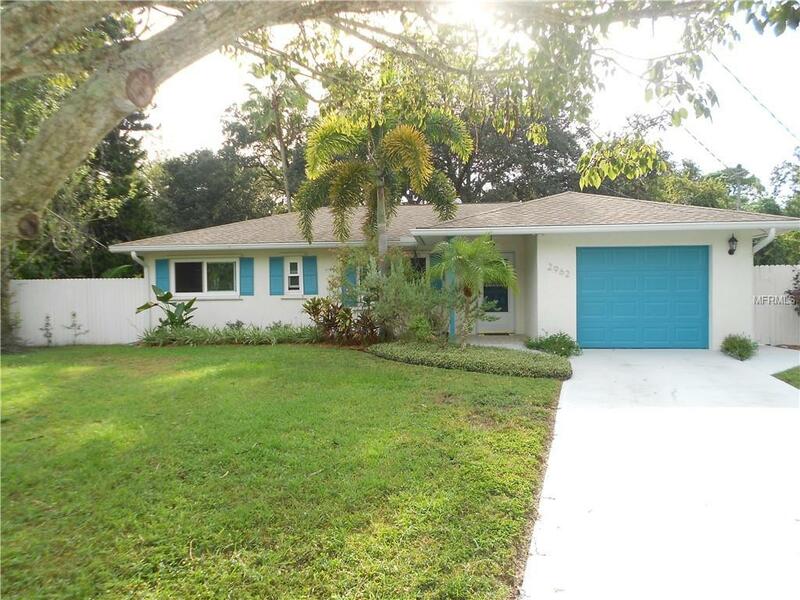 This updated 3 Bed/2 Bath, Pool home sits on an oversized lot with a secluded fenced backyard and lots of fruit trees right in the heart of Sarasota AND it is not in a Flood Zone. Features include: Split bedroom floor plan, "Impact Glass windows plus shutters for hurricane protection, new appliances including the washer/dryer, whole house water filtration and central water/sewer. Other updates include kitchen wood cabinets, new kitchen floor, new bath tub, skylight, rain barrel, heat lamps in both bathrooms, HVAC 2010 and Roof 2005, Water Heater 2019. There is also a large detached workshop and lots of storage in the attached garage. Hurry, this one wont last long! Listing provided courtesy of Area 342 Property Specialists.